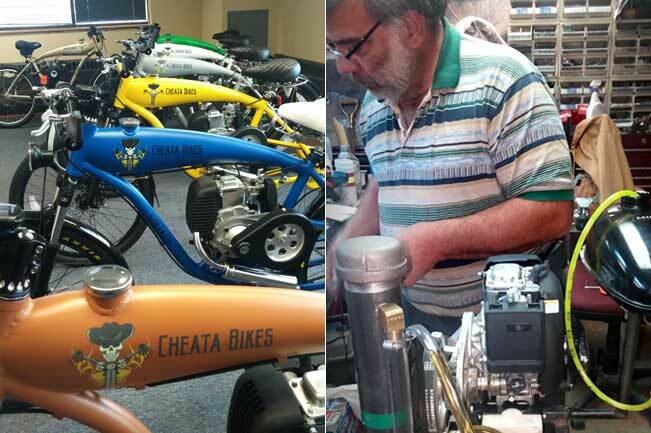 Cheata Bikes were inspired by the rich history of motor bicycles and the love of riding. They meet the growing need for cost-effective, city transportation. 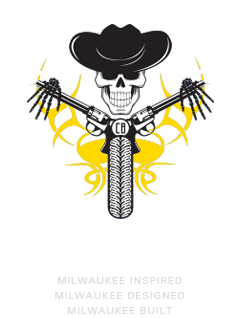 Motor bicycles have been around for more than 100 years! 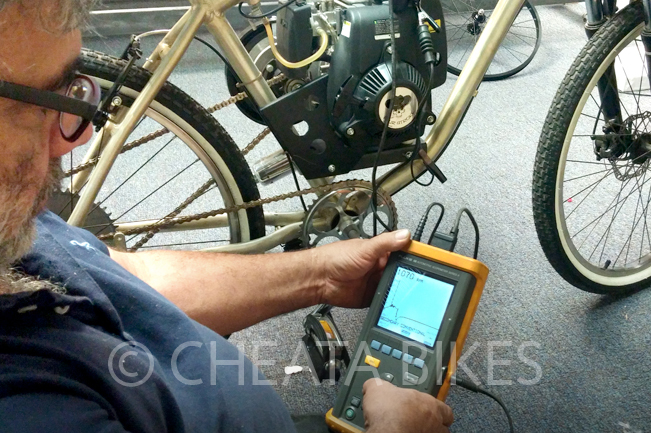 The original motor bicycle has its roots in Milwaukee, Wisconsin. Harley-Davidson entered the marketplace offering an affordable means of transportation in the early 1900s. 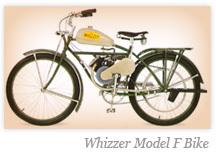 Whizzer, another U.S. company, began producing motor bicycles in the early 1940’s for World War II defense workers. Eventually Whizzer produced the Model F to sell to the general public. 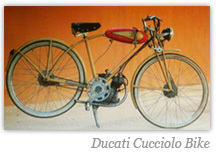 Following WWII, a European company, Ducati, produced a motor bicycle called the Cucciolo. In 1948 Ducati sold more than 200,000 motor bicycles. These bicycles all had single-cylinder engines capable of about 35 miles per hour. As time progressed, these bicycles lost their pedals, grew bigger and became more powerful—evolving into the motorcycles we see today. 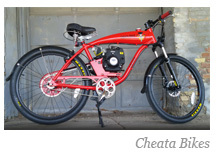 Cheata Bikes brings the motor bicycle back full circle! 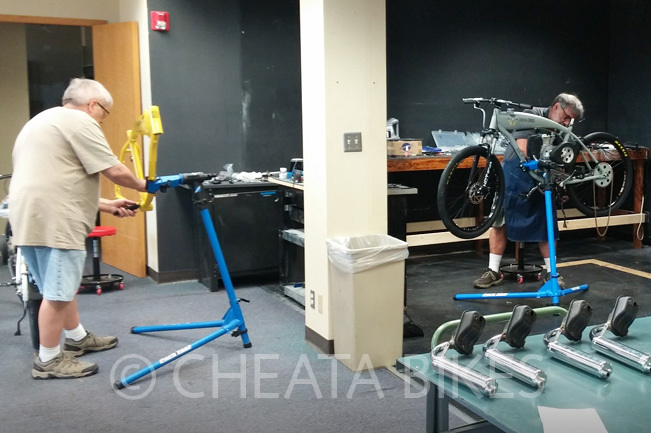 Our Cheata Bikes facility is located in Milwaukee in a historic turn of the century 8,800 sq. ft. building not far from where it all began at Harley-Davidson. 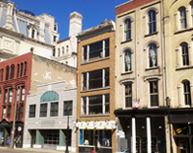 The building houses our manufacturing center, retail location and product design studio. 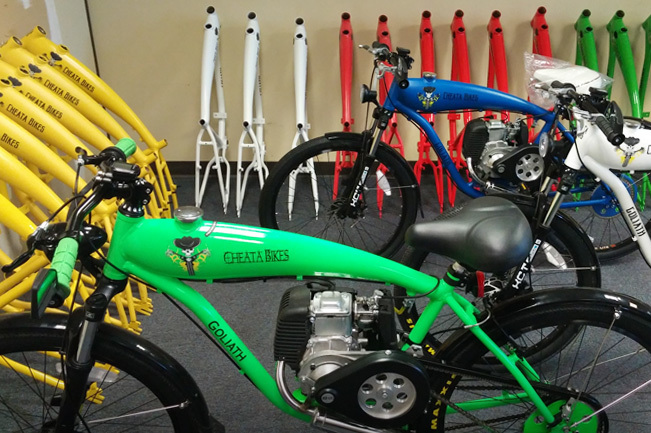 Cheata Bikes brings history, innovation and practicality together for an amazing product and riding experience. 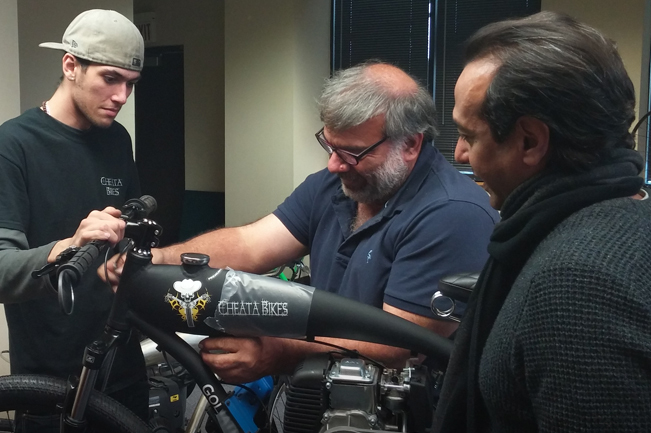 When you buy a Cheata Bike, you are buying a lifestyle that resonates with those who like to lead ... not follow. 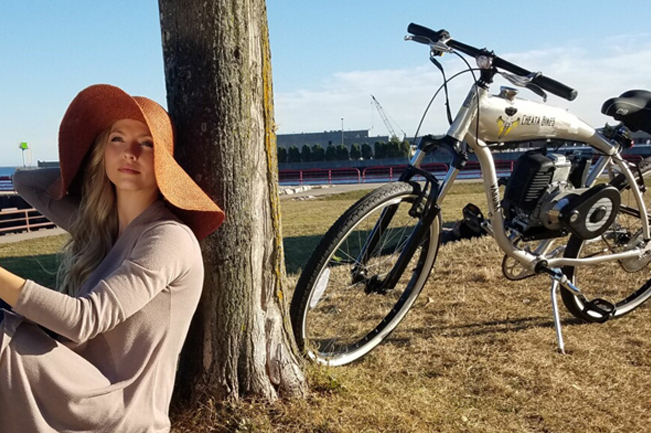 Cheata Bikes put the wind at your back and adventure in your spirit. TURN THE THROTTLE AND GO!